EU leaders have endorsed the Brexit deal, overseeing the withdrawal of the UK from the EU next March, and handing the baton to British prime minister Theresa May to push the agreement through a hostile parliament in London. The bloc's 27 other leaders arrived in a solemn mood at an extraordinary summit in Brussels on Sunday (25 November). They took the decision, which ends 45 years of British membership, to endorse the accord after just half an hour of talks. The more than 500-page text is designed to see the UK exit in an orderly way. 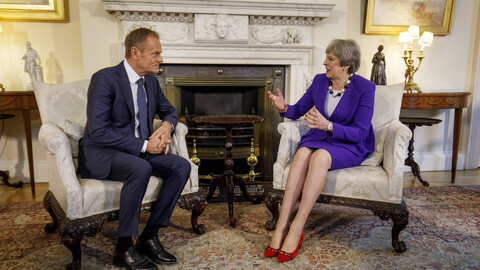 They also unanimously supported a 26-page political declaration on the future relationship with the UK after it leaves the bloc on 29 March 2019. The declaration envisages close ties on security and defence, an ambitious trade relationship, and aims to build "as close as possible a partnership" more generally speaking. The withdrawal agreement secures most of the existing rights of EU and UK citizens living on both sides of the English Channel and settles financial issues by having the UK pay the rest of its share to the current EU budget. It also sets out a 21-month long transition period following March 2019, during which the UK is to stay in the single market and the customs union, but without any representation in the EU Council, where member states meet in Brussels. The transition period, which is meant to be used to negotiate a detailed accord on future relations, can be extended by up to one or two years if talks are not concluded by December 2020. The deal also creates a so-called 'backstop' aimed at keeping open the border between Northern Ireland and the Republic of Ireland to avoid the reemergence of sectarian tensions. It also creates a customs union between the UK and the EU even if no other trade deal is achieved before the end of the transition period. Britain's May will now have to sell the arrangements - a complicated result of more than a year of painstaking negotiations - to lawmakers in the House of Commons, where she faces opposition from both inside and beyond her own party. 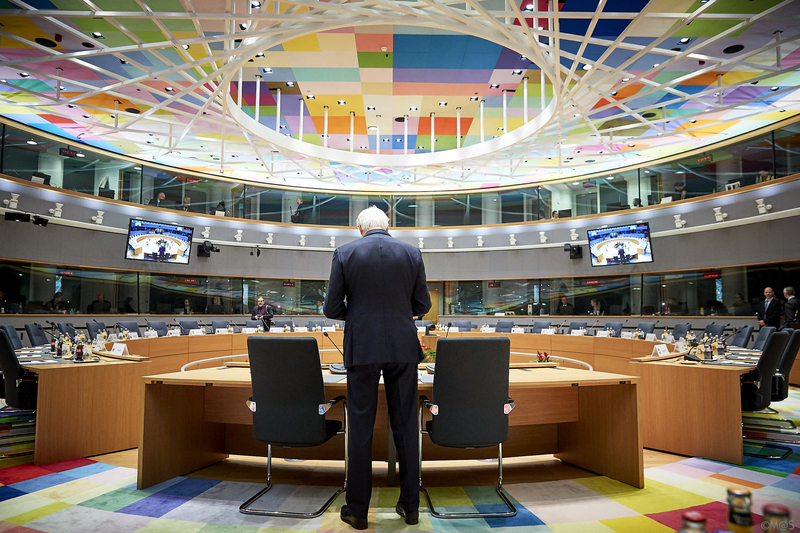 EU leaders said on Sunday they will show "particular vigilance" as regards safeguarding the rights of citizens in future, and "to protect fisheries enterprises and coastal communities". They added that an agreement on fisheries, a key issue for many member states, should be a matter of priority to be negotiated before the end of the transition period. They also said this should build on "existing reciprocal access and [fishery] quota share". In a final step, EU leaders also endorsed a textthat calmed last-minute concerns raised by Spain, which has threatened to "veto" the withdrawal agreement if it was not given assurances that the future trade deal between the UK and the EU would not apply to Gibraltar without Madrid's say so. EU countries grew "very irritated" with Spain for causing last-minute drama over Gibraltar, an EU official said. Technically speaking, Madrid could not have vetoed the deal, as it only needed the endorsement of the majority of member states, but the EU wanted an agreement that was backed unanimously to show its unity. Spain said it wanted written guarantees that the agreement on future relations would not automatically include Gibraltar. An EU official said the other leaders were irked by Spain's demand because it had "no factual justification". An EU official also said that both the EU Council and European Commission's legal experts has said Spain had no legal ground to object to the deal, which did not foresee automatic application anyway. Officials saw Spain's insistence as political posturing. Another EU contact said the solution of adding a political statement to the package adopted on Sunday had no legal consequences - that, in other words, nothing had changed following Spain's objection. In both Spain and the UK, Madrid's demands hit a sensitive nerve of sovereignty over the "Rock", which Spain ceded to Britain in 1713, but to which it never gave up its claim, even though there is no movement in Gibraltar that would support a union with Spain. EU officials are now worried that the last minute fuss could cause further headaches for May as she tries to push through the deal through the House of Commons. But Spain's PM, Pedro Sanchez, insisted that the UK leaving the EU had made Madrid's position stronger, because it now needed to adopt the same kind of conciliatory approach as Spain had done when it joined the EU in 1986. Spain will seek joint sovereignty over Gibraltar in future, he said. May remarked that the UK would negotiate on the issue with all of its "UK family" in mind, Gibraltar included. But the EU official insisted that neither side had won anything in the Gibraltar debate. "If you have a political statement saying that in the morning the sun rises, then who is winning?," he joked. 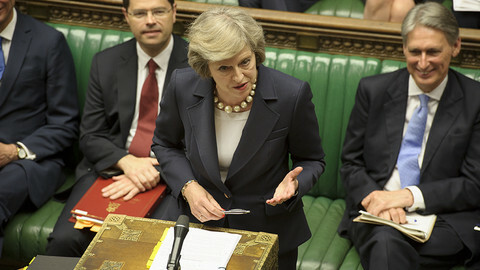 All eyes are now on May, who is facing the political fight of her life to get the agreement through the UK parliament. A vote is expected in December, but it is still not sure if May - whose Brexit deal is opposed by her hardline Tory peers and the opposition Labour Party - will have enough MPs on her side. May told reporters after the summit that the crunch vote would take place "before Christmas". "I will make a case for this deal with all my heart," she said, adding that EU leaders had told her that this was the only deal possible. The EU has tried to help May to sell the accord in Westminster by accepting a British request to have a UK-wide customs union as a backstop and to have a long political declaration on future relations, which was in keeping with her strategy for getting votes in London. EU leaders have also made it clear that this is the best and only deal Britain can hope to get. "This is the max we can all do, both Theresa May and her government as well as the EU, there are no victors here today, nobody winning, we are all losing," Dutch prime minister Mark Rutte said on his way into the summit. UK lawmakers should ratify the deal, Rutte aded, as it both delivers Brexit and secures British interests. EU commission president Jean-Claude Juncker also said there was no alternative. "This is the best deal possible for Britain. This is the best deal possible for Europe. This is the only deal possible," he told journalists. 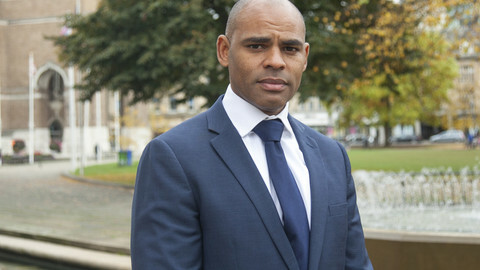 He added that those who rejected the Brexit deal in the House of Commons in the hopes of a better one would be disappointed "within the first seconds" of trying to reopen talks. 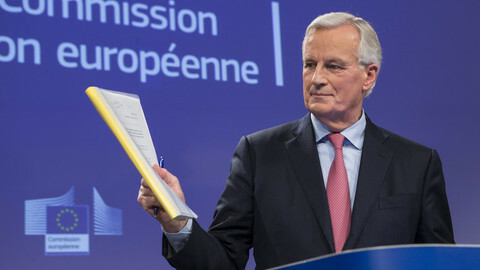 "The agreement must now be ratified - it is time for everybody to take their responsibilities," EU chief negotiator Michel Barnier also told reporters. German chancellor Angela Merkel refused to speculate on what would happen if the deal did not make it through the UK parliament. Asked if she would help May, she said "one should not do anything one is not asked to do". Merkel also called the deal "historic", saying that she welcomed the agreement with both "grief" and "relief". For his part, Irish premier Leo Varadkar revealed that EU leaders made a deliberate decision to avoid any speculation over "alternative scenarios". "We don't want to create the false impression for the UK that a better alternative deal is possible," he said. After the UK parliament votes, the European Parliament also needs to ratify the Brexit treaty, but it ought to sail through in January or February. The president of the parliament, Antonio Tajani said on Sunday that MEPs could still hold the vote even if the deal was rejected by British parliamentarians. The EU has been drawing up contingency plans in case the whole package falls apart. Member states and businesses have also been urged to prepare for a disorderly British exit from the EU, which could seriously disrupt air travel, industrial supply chains, and trade more broadly speaking. 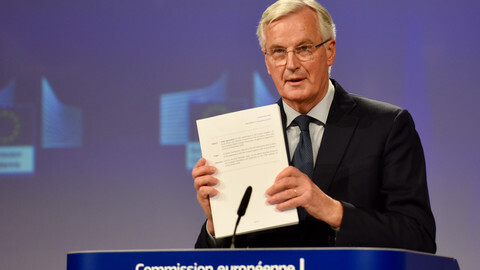 The EU treaty on any given member state's withdrawal, in its Article 50, makes it possible for the UK to ask for an extension of the Brexit withdrawal negotiating period that is meant to end in March 2019. 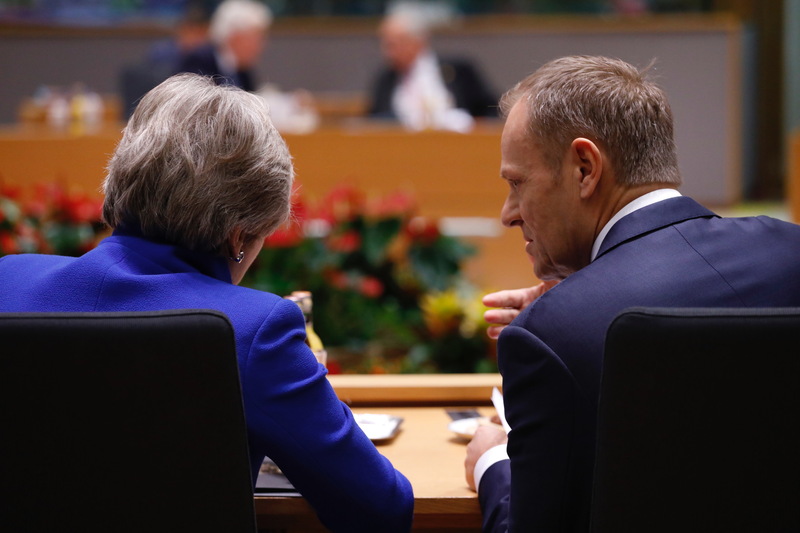 EU states would need to agree unanimously to continue negotiations with the UK, but at the moment, there is little appetite for that in European capitals. In any case, the Brexit story is far from over. If the deal goes through in Britain, negotiators will still have to turn to the next, and even more complicated talks on a future deal on trade and other aspects of the bilateral relationship. 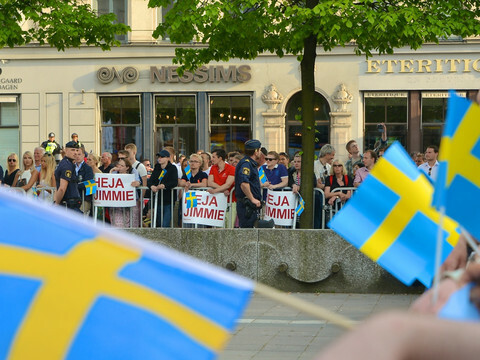 "The process will be long, starting today and finishing in the final minute of transition, which is when the final withdrawal will occur," Lithuanian president Dalia Grybauskaite warned. France's president Emmanuel Macron also gave a sign that the EU was prepared to play hardball. He noted that an agreement on fisheries could be linked to avoiding the Irish backstop, meaning that the UK could be forced into a deal on fishing rights in order to avoid staying in the customs union indefinitely. 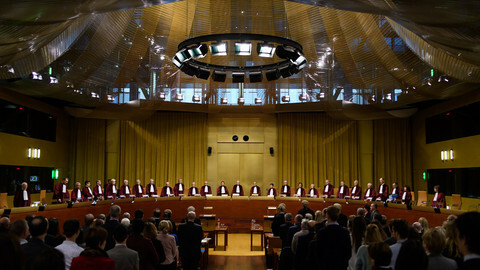 British government and EU lawyers have heaped scorn on the idea that Britain could unilaterally revoke its Brexit process.